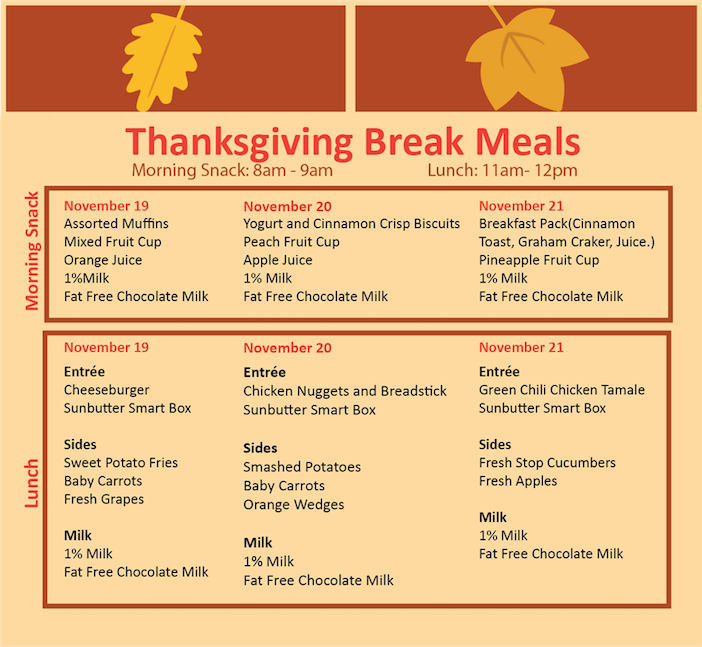 Dallas ISD’s Food and Child Nutrition Services Department will offer students free meals during the Thanksgiving break, from Monday, Nov. 19, through Wednesday, Nov 21. The effort is to ensure students have access to nutritious meals even during breaks from school. Participating schools throughout the district will be serving morning snack from 8 a.m. to 9 a.m. and lunch from 11 a.m. to noon.